South Dakotans elected the state’s first female governor, Kristi Noem, last November. Noem served in the U.S. House of Representatives for South Dakota before she was elected governor. 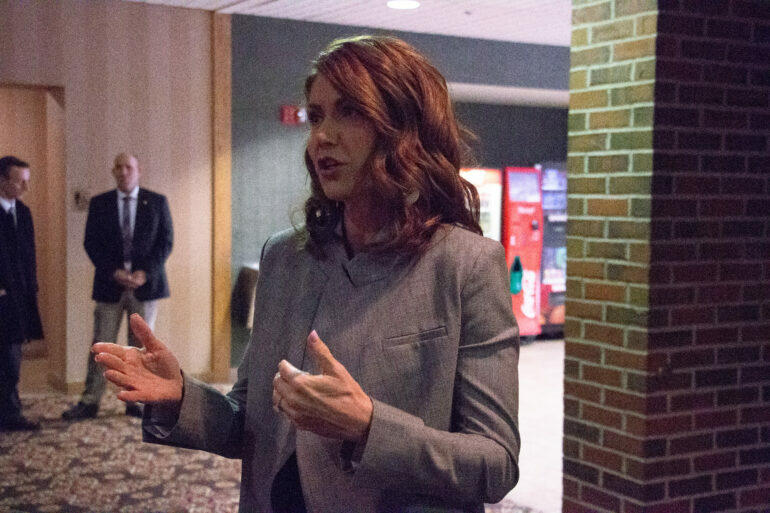 Although Noem has experience within South Dakota politics, some women said there is still fear she will not be taken seriously as a leader because of her gender and political party. Julie Hellwege, USD professor of American politics, said Noem will face issues earning respect as a leader because of the idea that women are more content in roles of less power and authority. Although this election saw an increase in women elected to state legislatures across the nation, Hellwege said there is still a lack of diversity within the female representation. “I think just saying we have more women is not enough. We need to have more diversity among the women. We need to have more women of color, more Native American women, we need to have more conservative women,” Hellwege said. Being conservative and female can cause challenges for women in politics in general, but specifically, in leadership positions, Hellwege said. Amber Hulse, a sophomore political science major, and Student Government Association member said through working on campaigns this election year, she has seen first hand the discrimination women face in politics. 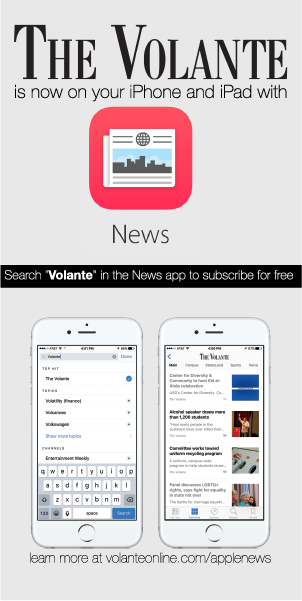 The Volante traveled to Pierre, S.D. for Newspaper Day and had the chance to speak to Noem. She said her main goal is to focus on family and building family relationships while in office. Noem continues to post stories of her own family life online. Hulse said while Noem is trying to make herself seem relatable in these social media posts, it may be hurting her representation as a strong female leader. Gianna Miranda, a sophomore political science major and vice president of College Republicans, said being a conservative woman is challenging in college and in the world. She said that this makes it harder for conservative women to step into higher positions. Hulse said she thinks there are fewer conservative females in the legislature because of conservative values related to social issues. Being a woman, Miranda said there is pressure to conform to more liberal ways of thinking and said conservative men are not ridiculed for their values like women are. Hellwege, Hulse and Miranda all said they feel having a female governor will help break down some of the stereotypes related to conservative women in leadership roles.